Professor Costigan’s teaching and research interests include colonial Latin American, Afro-Brazilian, religious and ethnic studies. Her last book, Through Cracks in the Wall: Modern Inquisitions and New Christian Letrados in the Iberian Atlantic World (Brill Academic Publishers, 2010), was written with grants received from the American Council for Learned Societies, and the John Carter Brown Library. It analyzes literary writings and inquisitional testimonies produced in the sixteenth, seventeenth, and eighteenth centuries by descendants of Iberian Jews forced to convert to Christianity in the late medieval and early modern periods. Her book, A sátira e o intelectual criollo na colônia: Gregório de Matos e Juan del Valle y Caviedes (Latinoamericana Editores, 1991), is a comparative study of satirical poetry produced by a Brazilian and a Peruvian criollo during the second half of the sevententh century. She has edited (with Beatriz González Stephan), Crítica y descolonización: El sujeto colonial en la cultura latinoamericana (1992); has directed and edited (with Leoplodo Bernucci), the special issue of Revista Iberoamericana,“O Brasil, a América Hispânica e o Caribe: Abordagens Comparativas”, (1998); edited Diálogos da conversão: missionários, índios, negros e judeus no contexto ibero-americano do período barroco (2005); and has served as special-guest editor of a special volume of the jornal, Research in African Literatures, which focused on “Lusophone African and Afro-Brazilian Literatures” (2007). This special issue of Research In African Literatures was co-edited with Russell Hamilton. 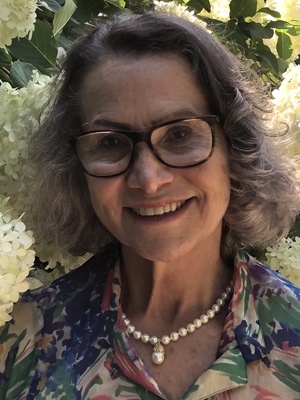 Her current research projects focus on the representation of minority groups in Latin American literary texts of the colonial period, and on Afro-Brazilian writers of the 18th, 19th, and the part of the twentieth century.